There’s a secret only a technologist would know. Search queries contain user behavior data. Data that is critical to know your customer. It’s so critical, I’m claiming it can help with product-market fit. There are indicators for absolutely everything. A quick Google search can lead you into a rabbit hole of metrics, indicators, reports, and examples. I’m here to explain what indicators matter to your business and the secret about search. If you’re a maker, entrepreneur, co-founder, angel investor, VC partner, or VC analyst, then please continue reading. You’ll know exactly how to hardwire into your customer’s brain. There are two sides to this idea. Before and after product-market fit. We’re focusing on the before. It’s important to note that if you haven’t achieved product-market fit, you are on a time limit. You can extend that time limit with capital but the default scenario is death. “I use the metaphor that a startup is like throwing yourself off a cliff and assembling an airplane on the way down. –Reid Hoffman interviewed by Elad Gil from High Growth Handbook. Product-market fit is about trying to steer away from the default. To not only survive from death but to prosper out of the process of surviving. To do so, as founders, entrepreneurs, and makers, you need more than the default indicators. I’m going to be quick here with listing what you need to know. Each one of these indicators could be its own blog post so the brevity is intentional. Note: If you have a great article or video to recommend that associates with any of the bullet points below, please post them in the comments. I’ll credit your LinkedIn, Twitter handle, or website. It’ll be a quality backlink in the future 😉. Onboarding or Signups – Usually, a good conversational lead-in to talk about your traction to a VC or angel investor. Monthly Active Users (MAU) or Daily Active Users (DAU) – Critical to measure the stickiness of your product. Revenue – Everyone’s favorite metric. Churn – Nobody’s favorite metric. Page Visits or Unique Sessions – It’s a measurement of your attention factor, not an early indicator of success in marketing or product. While I have you on page visits, be careful of correlating press bumps as any indicator. Your TechCrunch article or ProductHunt launch doesn’t validate you have a good product or you figured out the signal/noise ratio. It just means you got a bunch of makers who appreciate other makers doing cool stuff. They are not your sustainable target audience. Follows and Likes – This is just another “attention” metric. They don’t indicate success from a marketing or product point-of-view. It can be useful to measure early wins on your marketing tactics, but it would be a stretch to use these numbers to guide macro and long-term decisions. Net Promoter Score (NPS) – Don’t get me wrong here. NPS is important for assisting a quantitative measurement for customer loyalty. But it doesn’t give you a direct answer on why positive or negative side-effects are occurring. Disagree? Let’s talk about it in the comments below! Engagement – Not specifically from social media but any activity from users. Specifically, you’re looking to measure comments, shares, and emails replies. These kinds of actions take a little bit of effort for the user, so it’s a good test if your brand, product, or content is establishing a gravity well. If this sounds familiar, it’s from Content Machine by Dan Norris. Surveys – This one can get tricky if you don’t know what to ask. I’m going to borrow Rahul Vohra’s idea of surveying disappointment. 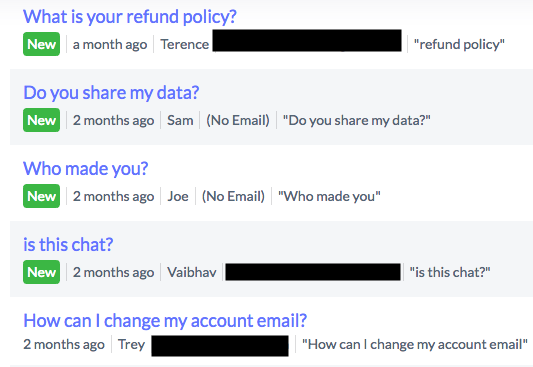 Rahul asked his customers: How disappointed would you be if Superhuman disappeared? Note: Superhuman is his new startup. It takes a little bit of courage to send a survey like this. But it’s important to know if you’re able to build a plane while falling before it crashes. Search – For the rest of this post, we’re going to be concentrating hard on search query data. You can use query data to show where users are hitting friction and A/B side-effects when users are forced to use search or not. Most use search queries to optimize search results but this article will show you the side nobody knows about. Using search queries to help find product-market fit. When I talk about search. I’m referencing a search box. Any search box you’ve seen on a website is exactly what you need to be imaging in your head. The search results are irrelevant throughout the post. We’re hacking the search box to dive deep into the user’s mind. Marketers haven’t tapped into their product or website search yet, but it doesn’t mean this is an unproven technique. Marketers have been mining user behavior queries on Google for years. It’s a proven process. Using ahrefs to know search query volume. Using Google Trends to validate personas and customer journey. Finding related relevant keywords with LSI Graph. Everyone is already data mining Google but nobody is data mining their website or mobile search. Google Trends is too macro for us to figure out product-market fit. For you to obtain the right kind of data, you need to search on your website or mobile app. Do you have search? Is it on your blog? On your homepage? Is it in your bot? One of the holy grails to user behavior data. It’s better than heat maps. Better than Behavior Flows on Google Analytics. It’s where you can leverage untapped potential and start to collect early data. Is my landing page leading to the right questions? Are people confused about what I’m trying to sell? Why are people asking for how it works when there’s a how it works video? Search query data is like having a custom-tailored Google Trends. It’s hyper-focused on your product and marketing efforts. The hardest part is understanding how it works and unpacking all the data into actions you can execute on. Warning: This small section is a bit nerdy. 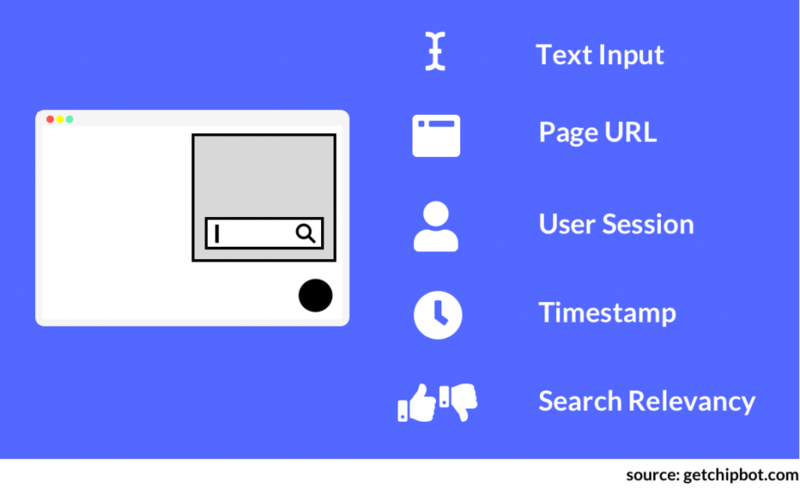 Here’s a list of data points to collect while users are typing in a search bar. If you want this taken care of for you, I suggest you try out ChipBot. Text input – Debounced between 200ms and 1000ms. About 30% of the time, you’ll see incomplete queries like “I’m looking for a…” because they are typing slower than the debounce time. It’s important to capture this then filter out later in your reports. URL – Determine what page the user was on when they searched. This is important if you’re trying to trace why they type the message. This directly assists with landing page improvements. Session – Group queries by the user’s session so you can map out the customer journey. Time – To group the data by date ranges and build a chronological user search journey. Search Relevancy – Measure if they clicked a result or if you a rating system on “did you find what you were looking for”. For example, ChipBot’s FAQ results come with a thumbs up 👍 or down 👎 value to determine if the search is useful to the user. Your search should be capturing these 5 data points. For this method to work, you can’t just slap search onto anywhere on your website. It has to be an intentional position that drives real results. 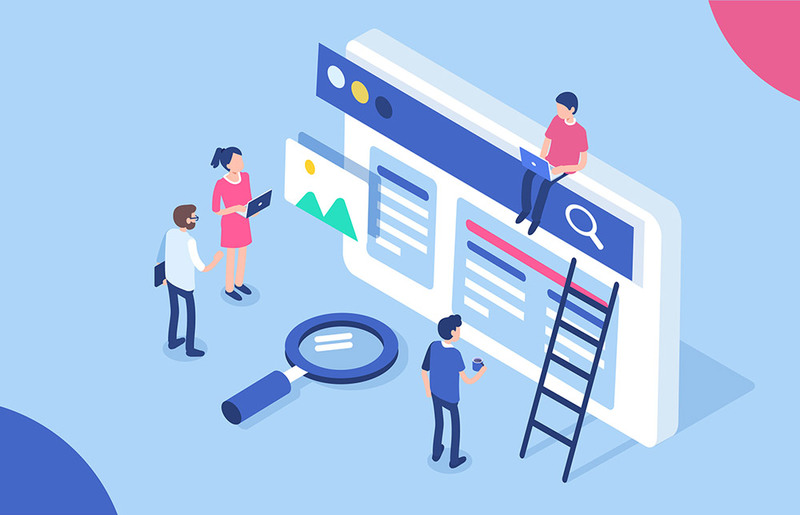 A search bar is located in the global header on your website, on your customer support page (like a knowledge base page), and in your support bot. Placement is key because you’re trying to catch users when they want an expedited experience or ran into a problem and need help ASAP. Before a user bounces, they’re going to be looking for one the three positions mentioned above. Once you’ve implemented some type of app or website-wide search, it’s time to start finding trends and creating measurements. This is key 🔑 . Trends can help you establish what metrics to focus. Once you measure, you optimize. This will be your north star for product-market fit. The easiest way to find important subject terms in search queries is to borrow the idea of a tag cloud. But instead of a tag cloud, use a search cloud! Search clouds help you find common trends in your product or marketing implementations. Founder and marketers can make quick deductions based on common phrases and usage. My company’s search cloud from December 2018 to February 2019. Look for false-positives in your product search trends. Don’t assume all requests and search queries are pathways towards a great product. When you’re observing search queries, you want to weight some terms over others. This is a manual effort the business works out and requires additional review from all the team members in the company. For example, you may want to filter out search queries around “how to install” if users are installing the product. In the example above, I filter out “customers”. We already know it’s high on relevancy but it’s not descriptive by itself. Trends and metrics alone won’t solve anything for you. You need a full cycle of analyzing, implementation, and retesting… for which I’m dubbing as A.I.R. I’m an example-driven kind of person, so let’s start out with a real-world example from my company during late 2018. First, we looked at trending queries that we captured through ChipBot. This was easy since we could observe both the formal questions and search query report. Next, we came up with some educated guesses. We are targeting the wrong audience for more than 50% of the time. Too much thought this is another live chat solution. Value and vision are missing. Users who understand the value prop are confused in how to install it. Now that we have some ideas, let’s gamble 🎲. We created tickets on GitHub Issues to start tracking our implementation efforts. Then we got to work in both product and marketing. Note: At ChipBot, we currently have all website development owned by the product team. Your business may run the website under the marketing team. Product change: Change the hero and key areas of interest to talk about a problem vector. Product change: Identify the value proposition better. Show testimonials that explicitly talked about product usage and value gains. Product change: Improve how the product itself is perceived by modifying the messaging within the product. Marketing change: Create content around problems we solve, not the product itself. Marketing change: Focus on channels that have early-stage entrepreneurs and non-tech-savvy SMB owners. The idea is these groups have not implemented live chat yet or have used it and want to try something else. Next was to test and find new results. And the results were in line with what we were theorizing. Increased signups (from 2 a week to 7 a week). Note: Marketing performed the same effort as before, but with different content. We don’t have ads or sponsorships either. Improved monthly active users (MAU). We saw more users using ChipBot’s Insights, Triggers, and Reporting features. Increased in useful feature requests from paying users. Increase in prospect questioning. We didn’t solve the messaging problem yet but with some of the changes, we were observing less “chat” and “live” inquiries. Increased Trustpilot reviews. And we got our first video testimonial! The best part of this was we were using our own product to improve the product. It’s a really good feeling to see value come back full circle. Surprises After Blowing Hot A.I.R. Instead of people confusing us with chat, they wanted a deep comparison of ChipBot vs Live Chat or ChipBot vs Chatbots. After all, we were competing for that little icon space on the bottom right. The next surprise actually led to a serious brand and vision discussion within the company. That led to an understanding of where our value is most understood at. Validated by customer interactions and our indicators. We can be confident in how we help businesses, with or without our product. Our vision supports this model. Now, I’m perfectly OK recommending Intercom or Drift if a business will perform better with it than with ChipBot. I’m not here to become a decacorn company, I’m here to create you something valuable and unique. 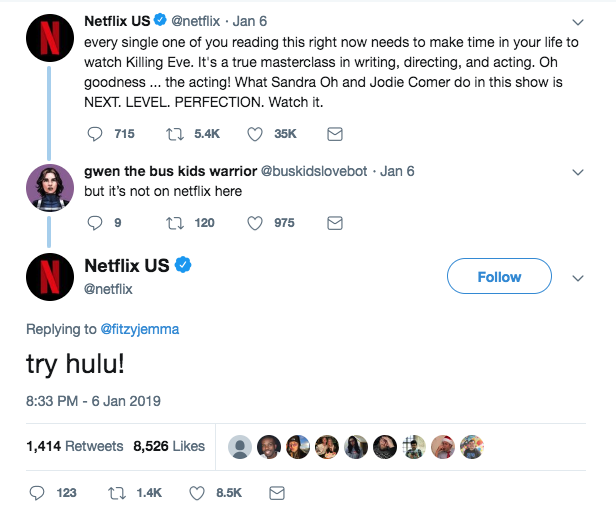 Netflix recommending a competitor for the sake of their mission and vision. Conclusion. Is User Behavior Search An Indicator For Product-Market Fit? You can quote me on this. After all, my company is building a bot to assist with this. And we’re building new models to make these behaviors identifiable with machine learning. Search is an essential indicator to know if your customers care about you and your product. Combined with early and lagging indicators, you’re going to have an advantage with other startups. By knowing your data points, you can confidently grow your business or you can pull the plug early before losing a bunch of money and time. For us, there’s always a new opportunity to find, so let’s do it in a data-driven way. Let’s hack technology to show where value can be discovered.